When I started working on World 1-2 in August of last year, I was directing and planning things alone. In fact, there weren’t any ‘music label’ plans — just one music album in mind. It felt great to work with so many talented folks and I'm very proud of the end result. I'm currently busy with the followup to World 1-2, titled Encore, and a great percentage of it is still an extension of the work I did back in 2012 (hence the title). Past the World 1-2 Saga, I won't be doing things alone anymore. I'm happy to announce a new team that I'm going to work with throughout all of our future Brave Wave releases: Marco Guardia, Manami Matsumae, and Keiji Yamagishi. All of them appeared in Brave Wave's first album: Manami and Keiji each composed a new original track, while Marco mixed Manami's track and has served as the technical backbone of the whole operation since his arrival mid-February. Marco Guardia is a professional composer and mixing engineer from Switzerland with over 15 years of experience under his belt, and he's going to technically supervise every release we put out. His composition skills will appear in future Brave Wave albums as well, starting with Encore, under the alias Monomirror. One key thing into hiring Marco? He takes his work to heart. You want to work with people who believe in what they do enough to not only take it seriously, but personally. Both Manami Matsumae and Keiji Yamagishi will serve as co-planners. This means I'm going to both plan (pre-production) and direct future albums with them. In addition to providing compositions for BW, they will be directly involved with me in operating the label and producing music albums. Keiji and Manami both worked in the gaming industry — back when composing for games wasn’t the sanest thing to do. You know Keiji from his work on the original Ninja Gaiden, as well as Tecmo Bowl and the Japan-only Captain Tsubasa games. Manami is known for composing the original Mega Man, as well as contributions to both Mega Man 2 and 10. 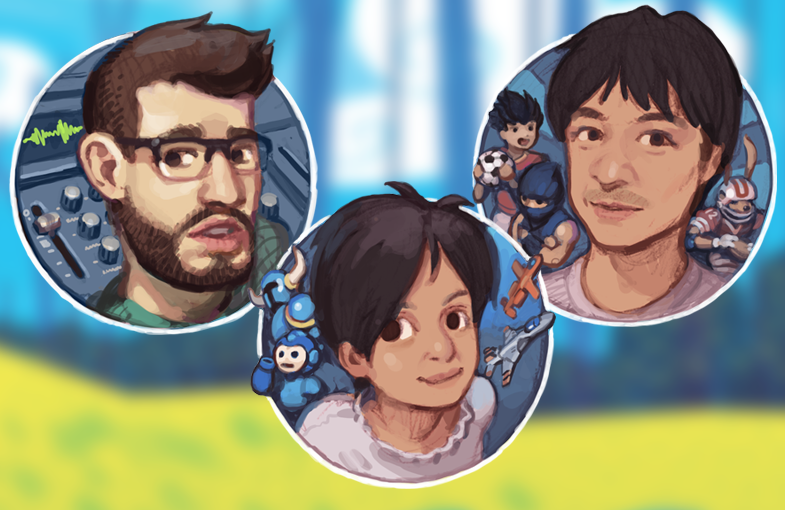 Mega Man games aside, she composed U.N. Squadron and is currently working with us to compose a couple of new tracks for the indie retro sensation Shovel Knight. Also, sometime in the near future, Brave Wave will publish solo albums. All four of us will serve as "judges" in evaluating and accepting pitches, as well as looking for new artists to sign. We're already working on Keiji Yamagishi's first solo album; it’s shaping up great, and I have a feeling it’ll wow you in more ways than one. Let’s give you one example: ‘Memories of T’ is being reworked to have guitars — by none other than Metroid Metal’s founder and guitarist Stemage -- with a new mix by Marco to encompass this new sound. It’s smoking hot, guys. In the meantime, have a listen to this new teaser for "World 1-2: Encore", our upcoming album. Unlike World 1-2, it’s all remixes — from Mega Man to Zelda to Sonic and plenty more. We even brought back the talented Video Game Orchestra to work on a Super Hexagon remix. Can you believe it? A fully-orchestrated version — with a rock band, nonetheless — of Chipzel’s addictive chiptunes. New team, new plans, new albums. I can't wait to share more of what we've been working on for the past months. We’re challenging the status quo with all our might and are anxious to see how everything unfolds. Game on, Mohammed P.S. This wouldn’t have been possible without YOU, the person who cares enough to read our blog posts and buy our music. Your love and support makes a big difference to us. Big hug to all you beautiful souls out there who keep nudging us to make more music. You won’t be let down. Available now: "World 1-2: Encore"